Our classrooms are spacious, coloured, well-light and Wi-Fi enabled. They are equipped with the latest IT infrastructure such as LCD projectors, screens and speakers that meet international standards. 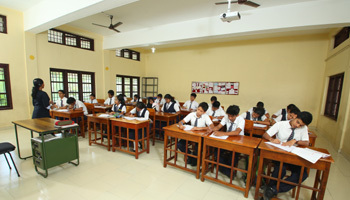 Seating arrangement is designed to ensure that the student is comfortable. 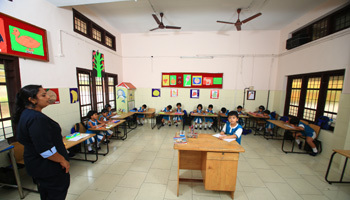 The classrooms have ample space for the teacher and the students to move around. Soft boards located on either side of the classroom showcase student projects. Every classroom is provided with a white board for writing purposes.